Tom Cruise and Katie Holmes. Love, Marriage, Divorce. 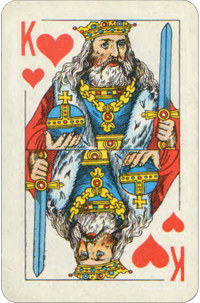 What Is the King of Hearts Birth Card Mean? King of Hearts present to the world kindly, friendly and charming front. They have an aura of peace, protection and safe harbor. They have a reservoir of divine love within themselves, and they know that this power of love is invincible. They have no need to fight for recognition. Others come to them for peace and guidance, needing their faith in life and in themselves. They have a deep understanding of human nature, and knowing all, they forgive it all. They are self-assured of themselves and of their principles. They are the most desirable people in the world and the most worthy of love. Tom Cruise and Katie Holmes were married for 7 years (from 2005 to 2012). Holmes began dating actor Tom Cruise. 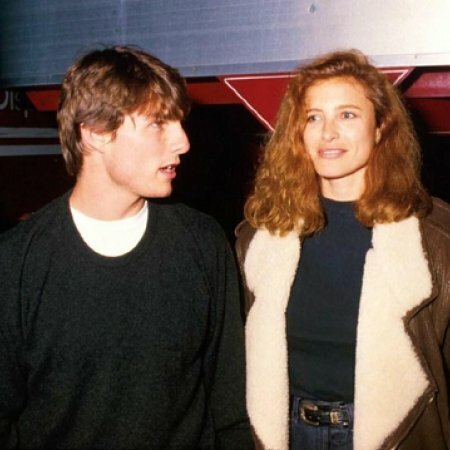 Holmes, who was raised a Roman Catholic, began studying the Church of Scientology shortly after the couple began dating. Cruise proposed to Holmes in the early morning of June 17, 2005, on top of Paris's Eiffel Tower. On November 18, 2006, Holmes and Cruise were married at the 15th-century Odescalchi Castle in Bracciano, Italy, in a Scientology ceremony attended by many. The actors' publicist said the couple had "officialized" their marriage in Los Angeles the day before the Italian ceremony. On April 18, 2006, Holmes gave birth to her first child, a daughter named Suri. The Los Angeles Times summarized the written statement Cruise released on the birth, saying the name "is a word with origins in both Persian and Hebrew. In Persian it means 'red rose' and in Hebrew 'princess', it was claimed in the release." 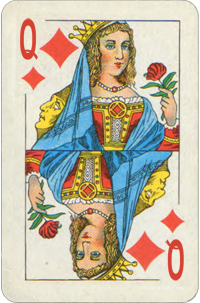 Although some Hebrew linguists had never seen the word for "princess" spelled this way and its meaning, others said it was a Yiddish pronunciation of the Hebrew name "Sarah". The first photographs of Suri appeared in the October 2006 issue of Vanity Fair, shot by Annie Leibovitz, and became the publication's second best selling issue of all time, selling more than 700,000 copies. On June 29, 2012, it was announced that Holmes had filed for divorce in New York from Cruise after five years of marriage. 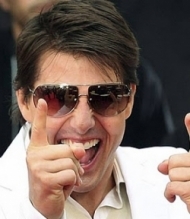 Following the announcement, those close to Holmes stated that Holmes believed she had reason to fear abduction of Suri by Cruise and also feared intimidation by the Church of Scientology. 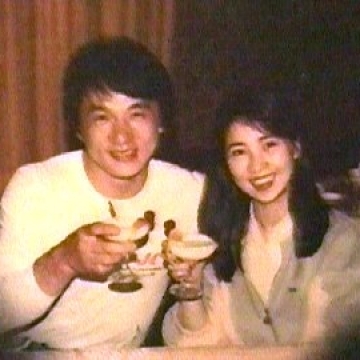 On July 9, 2012, it was announced the couple signed a divorce settlement worked out by their lawyers. This was the first divorce for Holmes and the third for Cruise.Katie Holmes and Tom Cruise have mutually agreed to let daughter Suri be with her mother. Because New York law requires that all divorce documents remain sealed, the exact terms of the settlement are not publicly available.